Standoffs are a small piece of hardware, which are used to hang a sign and attach it to a wall through drilled holes. Standoff places your signage with an inch gap from the wall; giving the best design of making your sign pop out from the wall in an eye-catching manner. It is a professional and a smart way to display a sign about your company especially in a business setting. Elegant and straightforward standoffs will give an excellent first impression to your clients and visitors. This impression sends a message that you have pride in what you do; this builds trust with your products or service. It’s a way of attracting existing and potential clients. Standoffs securely mount a sign on a wall for an extended period. As standoffs fasten the sign against the wall they become part of the design; therefore materials used are relevant. Mostly, standoffs are made of aluminum, brass or nylon. However, there are varieties of final presentations of standoffs. For us, we provide standoffs with a brushed, anodized aluminum which looks very nice with any sign. Standoffs will give your sign a unique three-dimensional look, and the pop-out appearance from the wall provides an attractive and impressive display to people coming to your business premises. The sign is firmly fitted on the wall, and this increases visibility making the sign go unnoticed. The standoff screws make the sign attractive and support the sign’s weight; therefore, you won’t be worried that the sign might fall off from the wall. 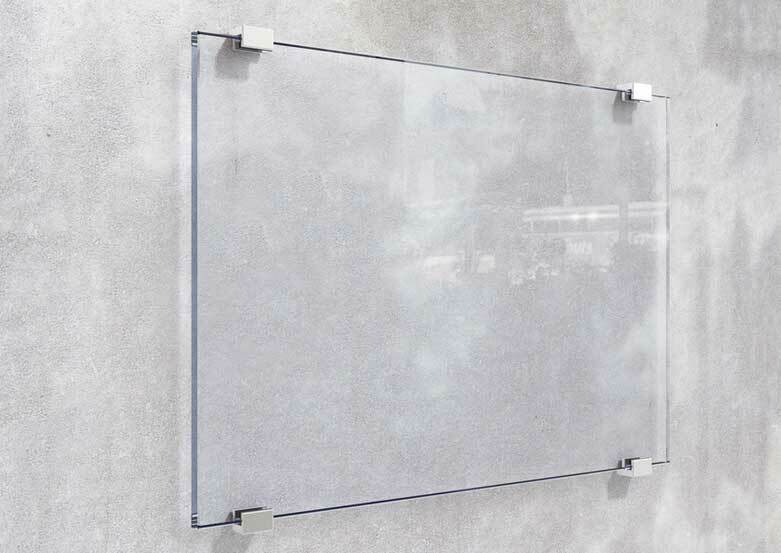 Standoffs are preferred for internal use in displaying logo signs and company name, identification signs for various rooms, art pieces, a menu in a restaurant and many others. Standoffs include several parts, which are used together to place a signage in place for long period firmly. They are made up of a screw, washers, cap, and dry wall-anchor. The best way to mount is placing standoffs at the corners, corners, and top, bottom and center, top and bottom or top edges only. However, with different shapes, there are different positions to place the standoffs for maximum support. In conclusion, Standoff screw is not secure when used alone, but when used together with other pieces it will hang your sign firmly on the wall. To mount standoffs, the sign requires drilled holes already where screws go through. It advisable for all clients to be specific with the descriptions of signs they want to determine the best position to drill the holes so that the final presentation is as desired.